5.On next page click on skip coupons. 6.Then Enter your FC Coupon FIFTYCB which you have got on email Under GOT A PROMO/FREEFUND CODE? field. 7.After Coupon applied sucessfully then Pay amount with Debit Card/Credit Card only. 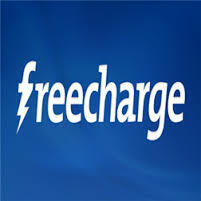 1.Offer valid for all freecharge users.valid once per use. 2.Offer valid on pay the amount with DC/CC Only. 3.This offer is not for airtel users.